It doesn’t matter. It’s in the past. So I chose to let 2012 stay in the past and instead look ahead to 2013 & the future. I’m dubbing my 2013 “The Year of Better“. I’m not making resolutions…I don’t believe in them. Instead, I’m setting goals and making some important commitments to be a better me. What will that look like? There are many changes that I need to make in the upcoming year to achieve my goals. I am determined to make them happen. For too many years I’ve done the same old things over and over. I don’t want to just be mediocre any more. I want to be better, and that starts with being second. 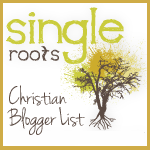 I invite you to follow along with me in 2013 via this blog. I hope to give you regular updates on how I’m doing with my Year of Better. I also would like to hear from my readers about your plans & goals for the upcoming new year. Will you make 2013 your Year of Better?